The number one leading brand in Natural Hair Care, Natures Gentle Touch has vowed to continuously promote proper natural hair care by sharing knowledge during its Natural Hair Workshop. It was an exciting time for the participants at the last edition of the Natures Gentle Touch Natural Hair Workshop. The session which had in attendance ladies wearing their natural hair; those transitioning into natural hair; as well as those who are desirous of growing their natural hair, focused on getting the participants to share their hair challenges and providing adequate information on how to handle these challenges. Concerns discussed during the session ranged from how to address hair breakage, detangling, shedding and knotted ends, and many more issues aimed at empowering participants with knowledge on how to take care of their natural hair. 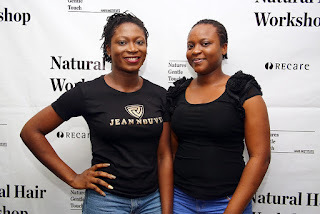 There were Trichologists on the ground, patiently listening to and responding to all hair and scalp related questions of each participant, Natures Gentle Touch Natural Hair workshop is definitely the best place for all natural hair lovers.